At ten years old Henrietta is stripped of the Chinese name she grew up with and is sent to a boarding school in the remote hills of China so her parents may continue their missionary work unhindered. For the first time in her life, she finds herself alone and confined within the strict boundaries of the school. In a mix of self-belief and a cry for attention Henrietta proclaims herself a prophetess and enlists the girls around her to join The Prophetess Club. Brave as a group they break school rules and cross the boundaries to stumble across a beautiful secret pool. There they find a young local girl all alone and missing their own Mothers, they adopt the child as their own, completely unaware of the devastating effect they’ll have on the little girl’s life. Upset and scared of her own actions, Henrietta runs from the school only to be confronted by the war that’s closing in around them and before long the school is run by soldiers instead of teachers. 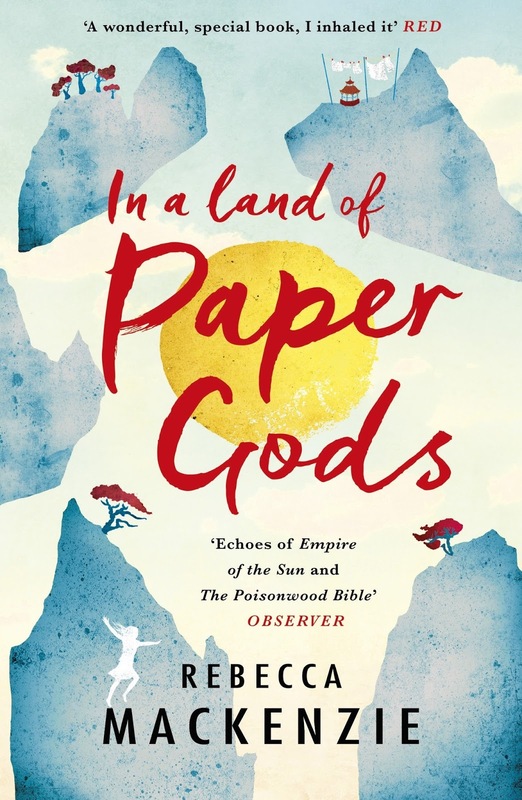 Set over roughly ten years, In a Land of Paper Gods follows Henrietta from a lonely little girl to a young lady with a strong mind of her own, striving to find her own direction in life. The novels feels like two separate yet interwoven tales, the first half shows her as a small girl desperate to both give and receive love and the second, during the war where Henrietta begins to question the religion that’s ruled her life and does her best to survive. Her often strained relationships with the girls around her strengthen as does the love for her surrogate mother, the dorm mistress, to the point she risks her life to save her. This coming of age tale with a loveable protagonist, set in a fascinating time and a beautiful location is a breath-taking debut and one that will definitely capture many hearts, as it did my own.